Please select options for Ford Performance Ring Gear and Pinion Kit - 3.73 Gears (94-98 GT) at the top of this page. When installing the Ford Performance 3.73 Gears, your speedometer will need to be re calibrated. This can be accomplished by replacing the speedometer gear, or utilizing a Ford Performance Speed cal. A tune would be unable to correct the speedometer for models prior to 1999. Anyone know what speedometer gear I need for my 96 mustang gt with automatic transmission. Don't have a 8 tooth drive gear? 1983-1989 Automatic Transmissions require a 7 tooth gear. 990-1998 Automatic Transmissions require a 8 tooth gear. what speedo gear will I need for my 96 gt with a manual t-45? When installing the 3.73 Ford Performance Ring Gear and Pinion Kit you will require a 7 tooth drive gear, and a 21 tooth speedometer gear, as your existing 8 tooth drive gear is not able to support 3.73s. 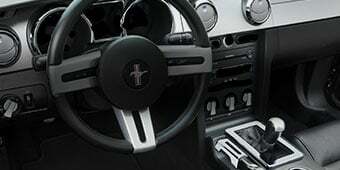 I want to put 3.73 gear on my 96 mustang gt automatic transmission but it say to replace the speedometer gear and I need a 8 tooth gear but American music don't carry this item can someone help me with this issue. There are two options aside from the speedo gears we carry to adjust your speedometer. One being a speedometer recalibration tool, the other being customer tunes. 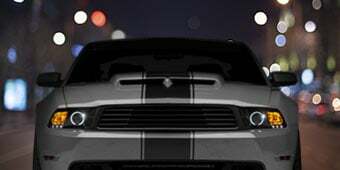 I will link both below: https://www.americanmuscle.com/ford-speedo-tool-9410.html https://www.americanmuscle.com/x4-custom-tuner-9698gt.html However with that being said, I would suggest to go with the custom tuner. 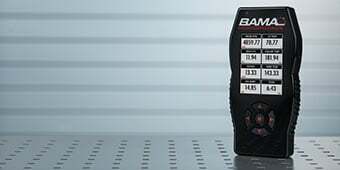 Not only will it adjust your speedometer, but being that you have an automatic, it will also readjust your shift points. I'm just curious. I bought these gears and they are currently being installed. Is there a break in period for rear end gears or no? I've heard both and if yes then how long? The Ford Performance 3.73 Gears (94-98 GT) will not fit your 96 v6. This will be for the GTs that have a 8.8" rear end. The V6 will have a 7.5" rear end. 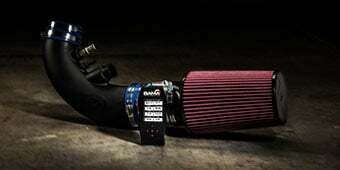 You will need the Motive Performance Plus 3.73 Gears (94-98 V6) item number 21107G94. 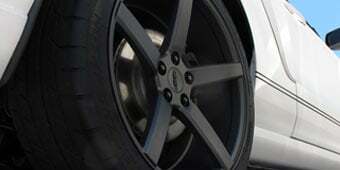 Yes, they will fit your 2013 GT as well. 2010-2013 GTs also require the 8.8" Rear Gear Pinion Bearing in additional to the install and bearing kit. But as far as fitment of the ring and pinion, yes - it will definitely work. Hope this helps! Upgrading to 3.73 gears on your 1995 automatic, you would need a 7 tooth drive gear and a 21 tooth speedo gear. Reason being, your 95 auto came stock with an 8 tooth drive gear and there is not a compatible speedo gear to properly correct it. Changing to the 7 tooth will allow you to use the 21 tooth speedo gear. If you have any other questions, please don't hesitate to give us a call! I am pretty sure you need the 8 tooth. I did the 2.72 to 3.73 conversion and that is what I was told. I opted for the electrical speedo correction so not 100% on this but pretty sure. Yes, higher numeric rear gear will lower your top speed by a few MPH. They will also make your car quicker to get to top speed. Do not fear the gear. Yes they do. As the rear end gear is numerically higher it lowers the top speed. It will depend on how aggressive you go with your gearing to how much it affects top speed. The whole reason to go with a numerically higher gear is to increase acceleration to speed. 2.73 rear gear may offer the best economy and top speed. A 3.55 gear would offer the better acceleration. Yes you are correct, if you got 3.73s or 4.10s they would make you accelerate faster. However, you would lose some top end. Most of the guys I know that got 3.73s compared to the stock 3.27s (99-04 gt) only lost a few miles per hour on their top end so if they topped out at 155 before they were sitting at about 150ish now. 4.10s would chop off even more than that, and I personally wouldn't recommend them if you have a manual and/or if you plan on daily driving the car. Not only will they shave off a lot of top end, they will affect your rpm at cruising speed. For instance, at 70 mph now with stock gearing (99-04 gt) I'm kicking exactly 2000 rpm. But I've seen guys on youtube that had 4.10s and at 70 they were around 2600 to 2700 rpm which is a little too high for my liking. So I'd only suggest 4.10s for the strip. The answer to your question is yes. You will accelerate faster because there is less resistance on the motor to increase RPM. This effect is increased as the gear ratio increases. 3.73 ratio means 3.73 turns of the driveshaft to 1 of the axle, a 4.10 ratio means 4.10 turns of the driveshaft to 1 of the axle. You will not notice a significant decrease in top speed switching to either one of these gear ratios. You should expect only a few hundred RPM increase at 70 MPH, but a noticeable increase of acceleration to get to 70 MPH. Yes. The higher the numerical ratio, the lower the top speed. We do have three different installation kits for the Ford Performance 3.73 Gears (94-98 GT). The Motive Rear End Installation and Bearing Kit - 8.8 in. 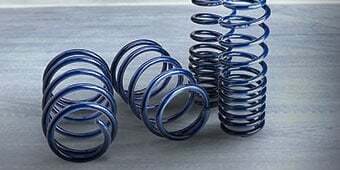 (86-14 V8; 11-14 V6) and the Ford Performance Ring & Pinion Installation Kit - 8.8in Solid Rear (86-04 V8) will be the same just made by two different brands. The Motive Rear End Installation Kit - 8.8 in. 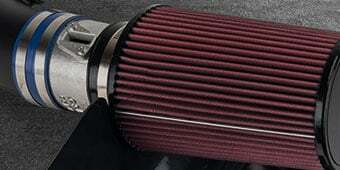 (86-14 V8; 11-14 V6) will just be the installation kit with out the bearings. They certainly will fit your Cobra also! You will love these gears!! Yes. 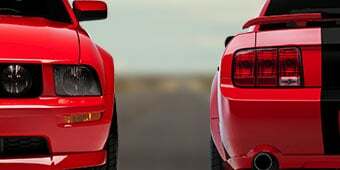 The Cobra of that year uses the same 8.8" Rear End that the GT uses. couldn't get a consistent wear pattern throughout the ring gear. the threads started coming off the pinion from replacing the nut so many times, which is why I settled for the best wear pattern i could get. makes a weird pulsating sound but still runs decently well. Id buy a higher quality gear next time. I installed this at the same time i built my engine. These gears helped to make my car feel like a stump pulling torque monster! Thes gears gave my almost stock 95 mustang auto 5.0 a more of a jump then the stock gears catches up allot faster. I know allot of people recommend 410s for autos but this is what i would recommend if you plan on changing over to a stick one day. Only bad thing was i should of got someone better then i did to install them because now i have a wine. Already have 3.73 gears in my 2002 mustang gt I bought these as a gift for my dad's birthday for his 1995 gt and he loves them.. AM is always my first choice when I'm dealing with the weekend beast. BTW if you get any gears other than stock I recommend you get aluminum drive train because with the stock drive train you will have a lot of vibration with the 3.73 gears. 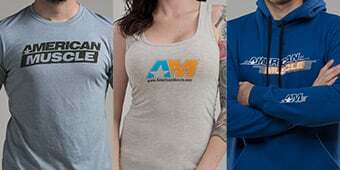 American Muscle shipped it very quick. Great product. Install isnt to bad, did it in a few hours. Will need a new cover gasket and can reuses old shims if in good shape. Remember which one came from where and how. I also replaced all bearings at the same time. Always good quality from Ford racing, had professionally installed for 300$ , parts self supplied. I purchased the 373 gear for my 95 mustang. I wanted a good all around gear that wouldn't sacrifice power. Absolutely NO power lost, but there was a noticeable torque and throttle response gain. Quick and Quiet...No gear noise. A must have when upgrading you Stang. This ford racing gear is by far the greatest mod completed the break in and wow my pony pulls hard just word of advice don't use aftermarket oil go to the dealer and get the Ford synthetic 75/140 three quarts and differential additive especially in the break in process not a job you want to do twice! Bought my 98 GT used with 38k miles on it. It came with 2.73 and a Trac-Loc. I wanted a gear that gave great performance, but didn't want to lose streetability. Replaced my 2.73 with the Ford Racing 3.73 and it was a great choice. My RPM's at 70 MPH with 2.73's were at 1700. With 3.73, 70 MPH was around 2300 or 2400 RPM. I'm very happy with this gear and glad I didn't do 4.10's. Will 4.10's accelerate better? Yes. But at 70 MPH you's be up around 2700 RPM. First gear with the 3.73 is pretty low as it is. I wouldn't want anything more than that. 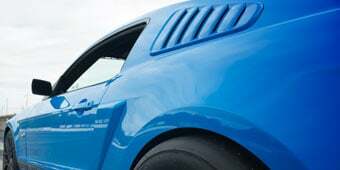 Ever since I got my Mustang in 2010, I have had a whooshing sound from the differential. Then a few years ago, a moan/squeal when I turned left at speeds under 40 MPH, replaced some suspension before my uncle figured it out that the limited slip in there was failing. Went ahead and ordered these gears and the Ford Racing Limited Slip-31 spline with the Ford Racing install kit and the bearings for the axles. Also got rear axles because I was unsure what was installed, turned out it was stock axles of 28 spline instead of 31 spline diff I was installing and most likely stock ring and pinion (3.27) with limited slip. Trouble was, I have the ABS option, had to order Moser axles so it was in the shop a little longer than expected. In the end, Holy Cow! What a difference 3.73 gears made, I was shocked and still am shocked at how much power I gained. I feel like the car gained horsepower really. Huge difference that I was not expecting because I thought the gear would have modified already, guess I was wrong. Well worth it and it runs quiet now! That was best of all and no more squeal/moan when I turn left, I now hear the engine more and exhaust, just what I like to hear, along with the Mach 460 Sound System. Cost of install higher because I replaced everything back there except the housing. I don't think I would recommend the install kit for what it costs. I ended up still buying new pinion bearings, seals and the sorts at a local parts store. The gears went in nicely though. If you have any mechanical aptitude, the install is pretty easy. It took me about 3 hours. Setting the crush sleeve is the hardest part of the whole job. I will say though, that the gears were a welcome change to the way the car runs now. I was worried the 3.73 would be to low, but highway rpms in 5th gear are 2600 at 75 (this is with the corrected speedo). I am really pleased with the turn out and the shipping was quick was which was even better. I would recommend these to anyone with a 5 speed manual. I decided with these 373s after talking to some local performace shops,i was thinking about 410s but glad I went with these,you get better gas milage,plus your not racing the engine all the time,an to top things off,i can go on a trip.notice a big difference in 2nd & 3rd gear pulls are much stronger! Great gear! really brings out the low end. definitely pulls alot harder through 3rd. Unbelievable difference in acceleration! When I get on it I can't even finish 1st without tires spinning and I always churp in second. Definitely feel the g-force. my five speed moves out the hole fast now. it helped realy good on my coming out the door and didnt hurt my top end. a must have also.